On 16 November, the Assistant Inspector General of Police Agboola Oshodi-Glover along with other officers from Zone XI Command Headquarters, Oshogbo, visited IITA to familiarize themselves with the Institute and reaffirm their efforts towards ensuring a safe and habitable environment. Delegation at Cassava processing unit. AIG Glover was received and welcomed by the Deputy Director General, Corporate Services, Hilde Koper-Limbourg with the Institute’s Security Manager and Superintendent, David Oluwadare and James Adedayo, respectively. The visitors watched a short video to introduce them to IITA and some of its research. 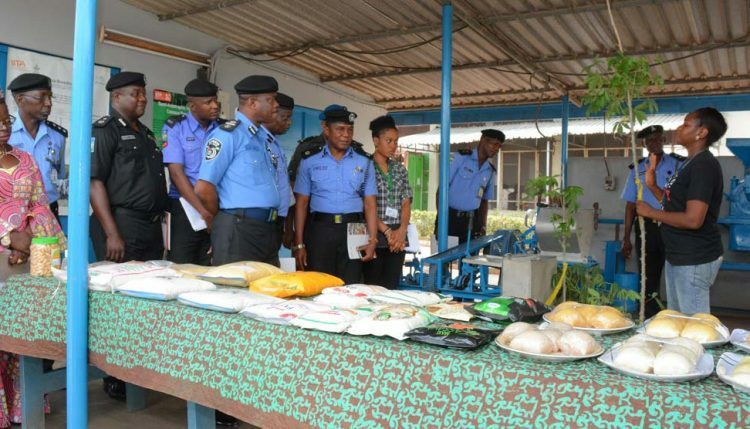 Oshodi-Glover and the other police officials were taken on a tour of IITA research facilities. 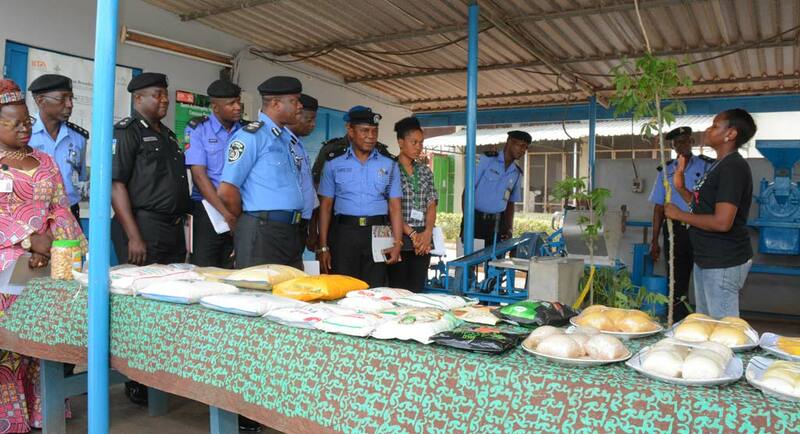 AIG Oshodi-Glover is in charge of Zone XI Police Headquarters comprising Ondo, Osun, and Oyo states.